If you like to bring unexpected flavours into your cooking, add sherry vinegar to your next salsa. You'll add a some flavorful zest to your dish, and surprise (and hopefully delight) your guests at the same time. Chef Julian Medina explains that you can take any tropical fruit - such as mango or pineapple - and toss it in a pan with onions and cilantro. 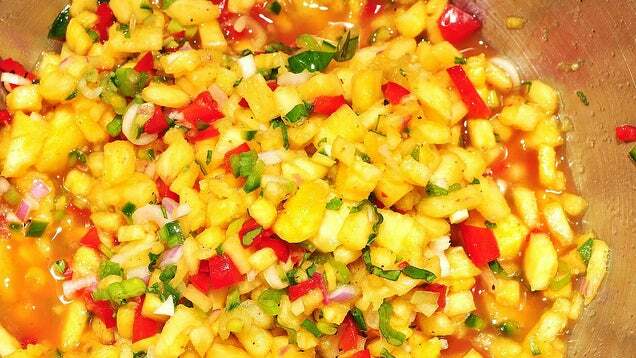 Then add a dash of sherry vinegar and olive oil for a tasty salsa. You don't have to worry about the vinegar adding too much acid since sherry vinegar has a more floral flavour than other vinegars. The floral-ness will help highlight the fresh ingredients you use, making everything that much more delicious. For other unusual ideas on how to use vinegar, check out the full post linked below.